The House today passed the tri-partisan Education Finance Reform Bill, H.911 on a vote of 85-54. 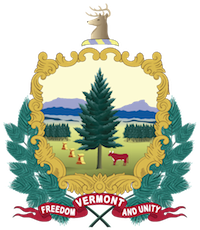 The bill provides a comprehensive restructuring of the Education Fund; updating the Vermont personal income tax code to streamline it with the federal changes and eliminating taxable Social Security benefits from for low and middle-income Vermonters, all while preserving funding for Vermont’s public school system. The bill received significant, bipartisan support in each committee, with a 9-2 vote in the Ways & Means committee, a 9-2 vote in the Education committee and a 9-2 vote in the Appropriations committee. Representative Janet Ancel, Chair of the House Committee on Ways and Means stated, “as we knock doors each year, we hear that property taxes are too high and that the system is too complex. The House Ways and Means Committee spent several weeks analyzing the current education finance system and considering whether we could identify changes that would improve the system. We identified several goals: (1) reduce reliance on the property tax and move instead to a more direct reliance on income which is a better reflection of ability to pay, (2) simplicity (3) transparency, (4) equity - meaning fairness to taxpayers and to students - and (5) better connecting voters to the decisions they make when voting on school budgets. “This bill is a win for public schools,” added House Speaker Mitzi Johnson. “Vermont boasts some of the best schools in the country and we know that young families look at that when deciding where to put down roots. In reducing all residential property taxes and more closely tying school budgets with property taxes, we’ve reduced property tax burdens AND provided comprehensive cost containment. “It’s a win-win for Vermonters that we’ve coupled these property and income tax updates with a plan to further protect Vermonters from a tax increase due to the new federal tax code. Our plan makes numerous changes, including expanding the earned-income tax credit, further helping bridge the income gap and help families move beyond poverty. The plan lowers each of Vermont’s marginal tax rates for personal income taxes by at least 0.2% and eliminates the tax on Social Security benefits for low and middle income Vermonters, ensuring our aging population is more able to live in dignity, not poverty.